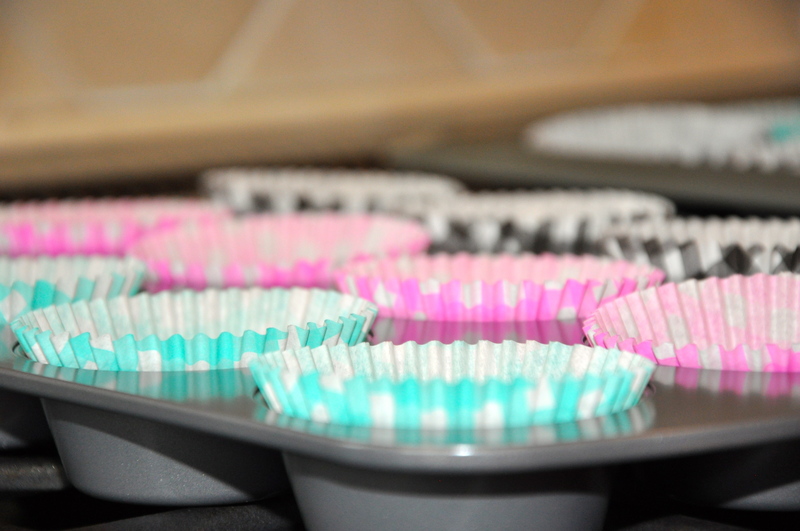 Cupcake liners are half the fun! Growing up, we were all about eating healthy and fresh food. Let me clarify that by saying clearly there was baking in my childhood! I mean, hello, this baketress (as my sister awesomely coined me) had to taste goodies at some point! My mom is a fantastic baker, she taught me everything I needed to know – basically that CHOCOLATE is king. But if you’re talking dunkaroos, tastycakes, lunchables, ringdongs, hostess cupcakes, or really anything that comes in those crinkly plastic containers designed to embarrass the eater and simultaneous entice the tastebuds of everyone around him/her…. I was a deprived child. Not that I’m really upset about this though, no offense to the devotees out there, but …really? Dry mass produced freeze-dried baked goods? Anyways, with a nod to my uncle who affectionately calls my ganache frosting tootsie rolls, I decided to make a slightly high-end twist on the I can’t really put this nicely, tasteless fan favorite. 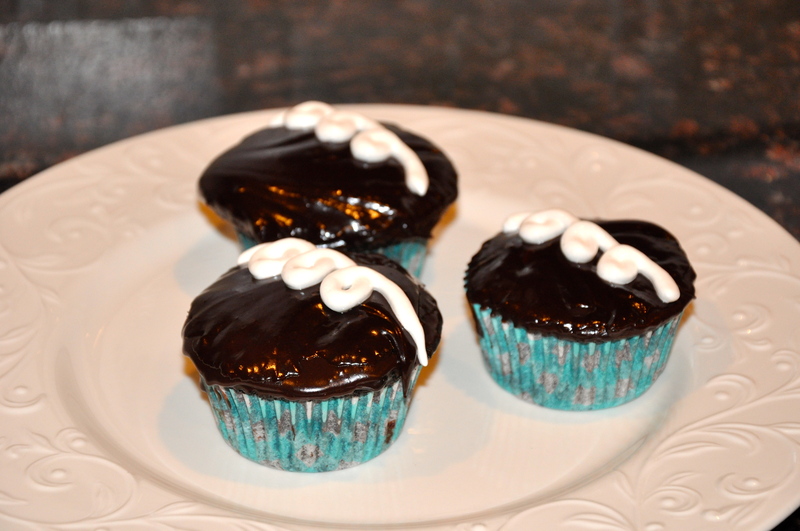 Faux hostess cupcakes! 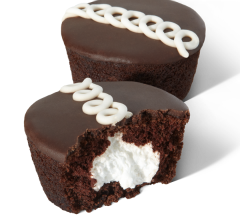 Just like a Hostess Cupcake? I love Annie’s Eats blog – she has the most fantastic ideas! While her cupcakes are infuriatingly perfect, I’ll settle for enjoying the recipe. It is really fantastic! This was the first time I’ve made something like this marshmallow creme; boiling sugar and whipping egg whites? FUN! Because I’m incredibly silly and don’t think things through all the way- I doubled this recipe. I’m not sure what I was thinking; I have about 5-6 cups sitting in my freezer at the moment… might want to rethink that decision-making process. 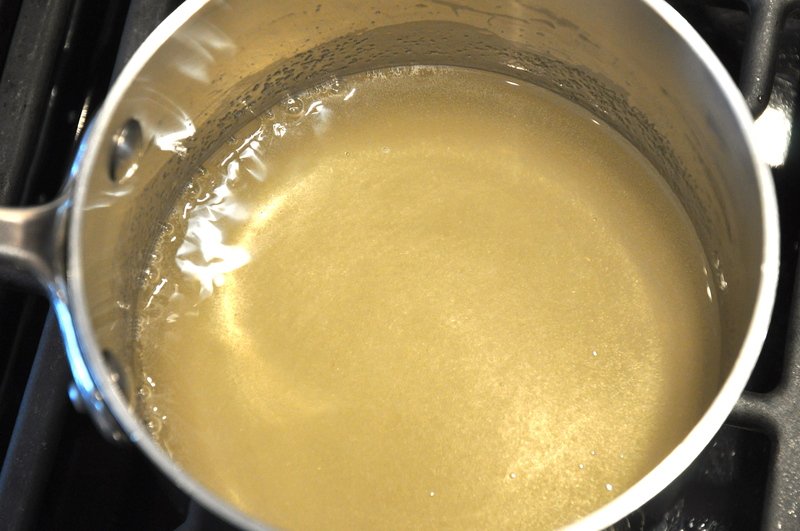 In a small saucepan, combine the sugar, corn syrup, water and salt over medium-high heat. 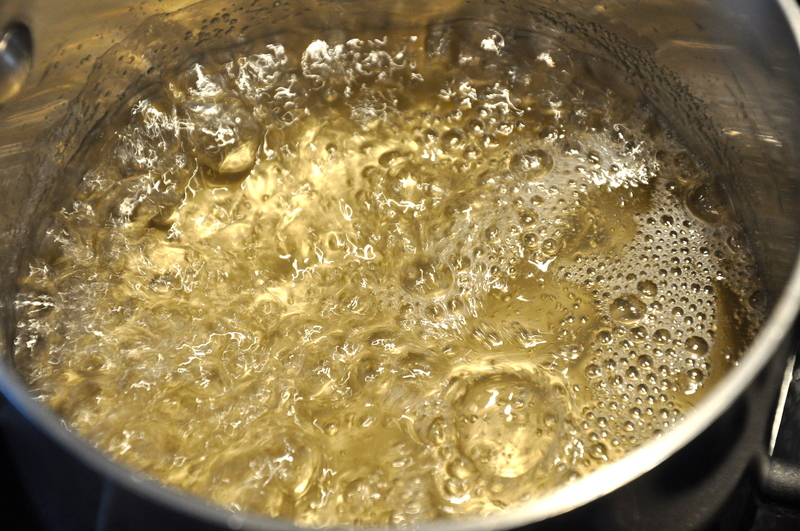 Heat the mixture, stirring occasionally, until it reaches 240˚ F. This is where having a candy thermometer is very helpful! If not, oven mits and a meat thermometer is a fantastic substitute. 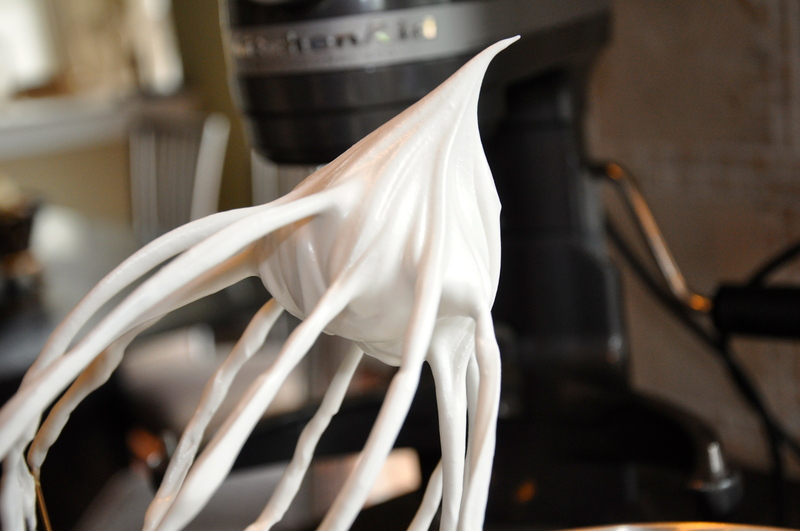 While that’s going, whip the egg whites and cream of tartar using the whisk attachment in a stand mixer. As the temperature of the sugar mixture begins to approach 240, begin whipping the egg white mixture on medium-high speed until soft peaks. Lower the mixer speed to low once you get soft peaks. 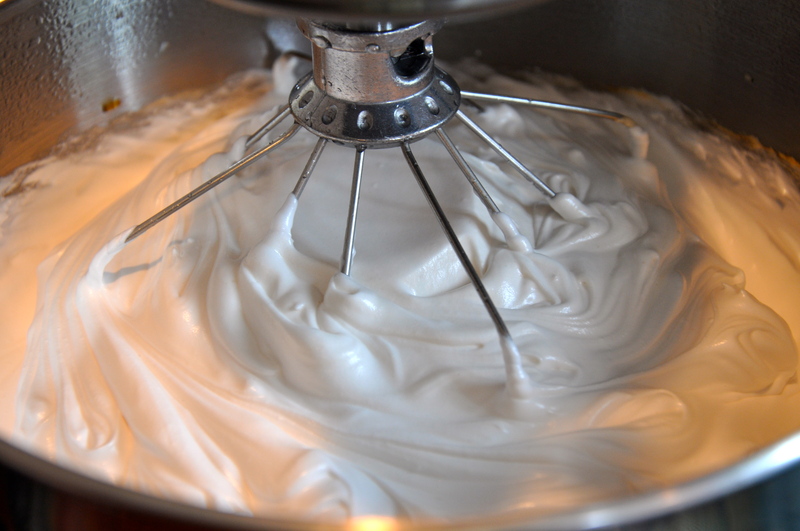 Once the syrup is added, bump up the mixer to medium-high and whip until stiff glossy peaks form and about 6-7 minutes. Blend in the vanilla and beat for 2 minutes more. 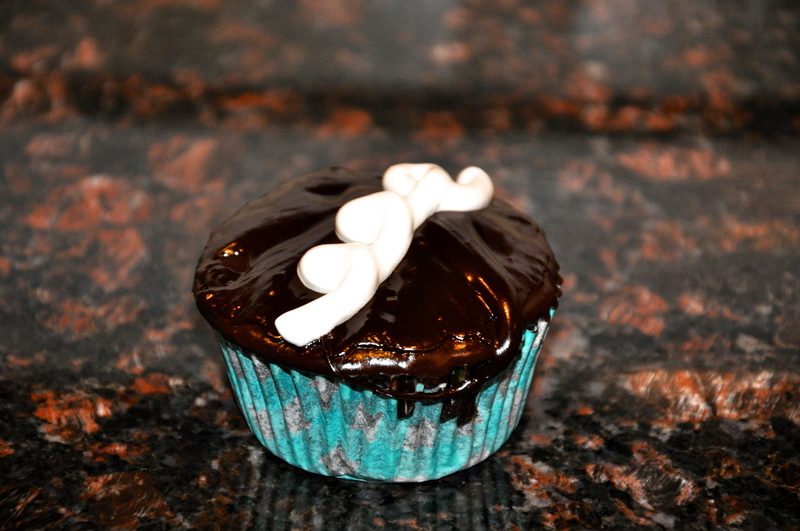 For me, I just filled the cupcakes with this delight, its airy yet sweet and gooey – just fantastic! 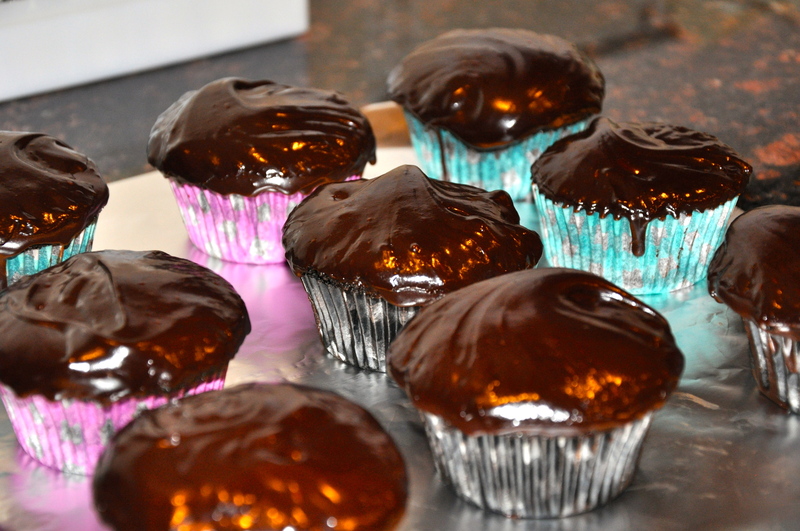 For the cupcakes, I used the dark chocolate java recipe which can also be found here on Nestlé’s website! I went sans chocolate chips though for these bad boys! What would you prefer? 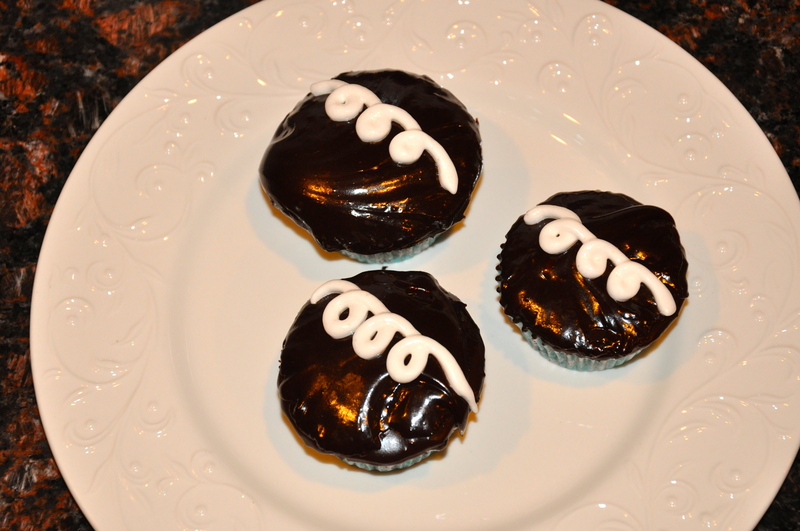 Hostess Cupcakes or fauxtess cupcakes? What should I try next? Any thoughts? Wow! Looks waaaaay better than anything store bought! 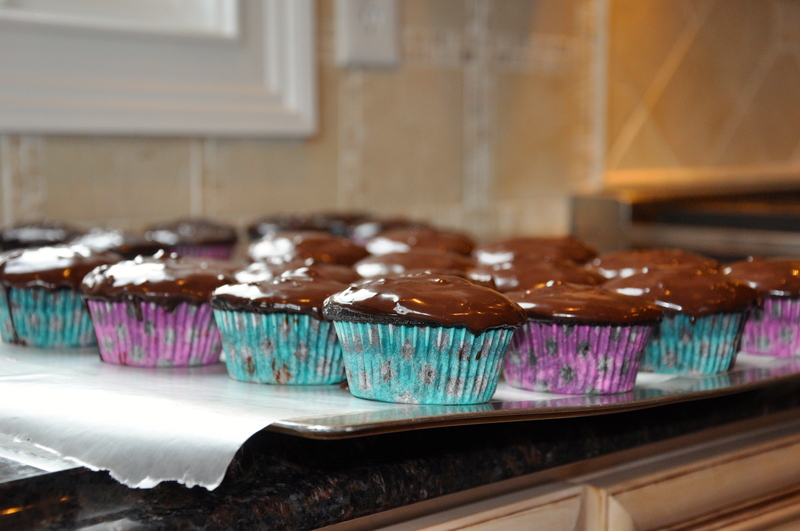 They turned out amazing … and look delicious! I love fun cupcake liners. Congrats Robin~ Your post was picked from our Raising Imperfection link party Sunday to be featured today on my blog!